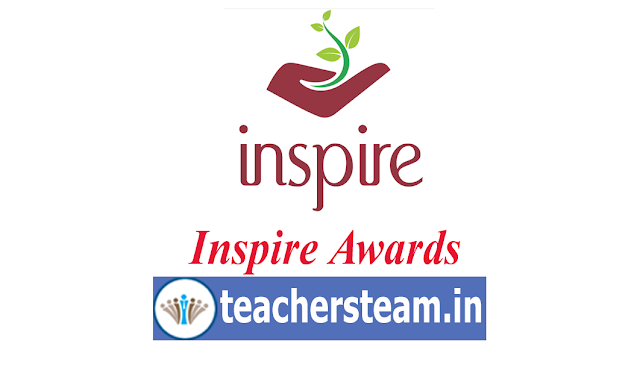 INSPIRE aims to identify, sustain and strengthen human capacity for Research and Development base of the country. Inspired research achieved by means of an innovative scientific pursuit is the objective of this flagship scheme of the DST. INSPIRE Program covers students in the age group 10-32 years. The list of awardees selected at the respective district shall be counter signed by the district chairperson/nodal officer. the selection candidates must obtain the bonafide certificate from concerned headmaster with specifications of class. prents name, guide teacher name and brief write up (200 words) photo of exhibit etc. proper instructions and guidelines are to be given to the awardees and to the guide teacher and they are requested to improve the exhibit before presenting them at state level exhibition. All the candidates write-ups in the prescribed format should mailed to tgscert@gmail.com on or before 31-01-2019.